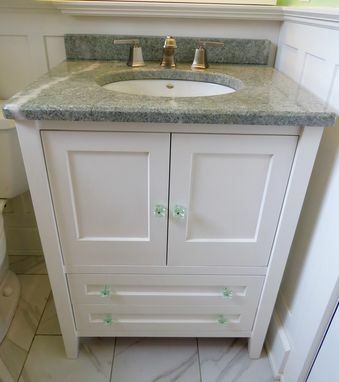 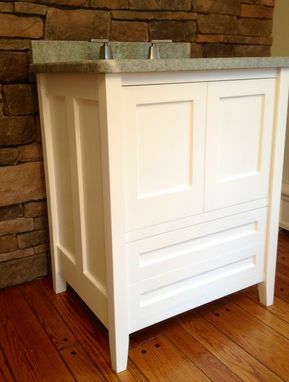 Custom bathroom vanity with plenty of organized storage. 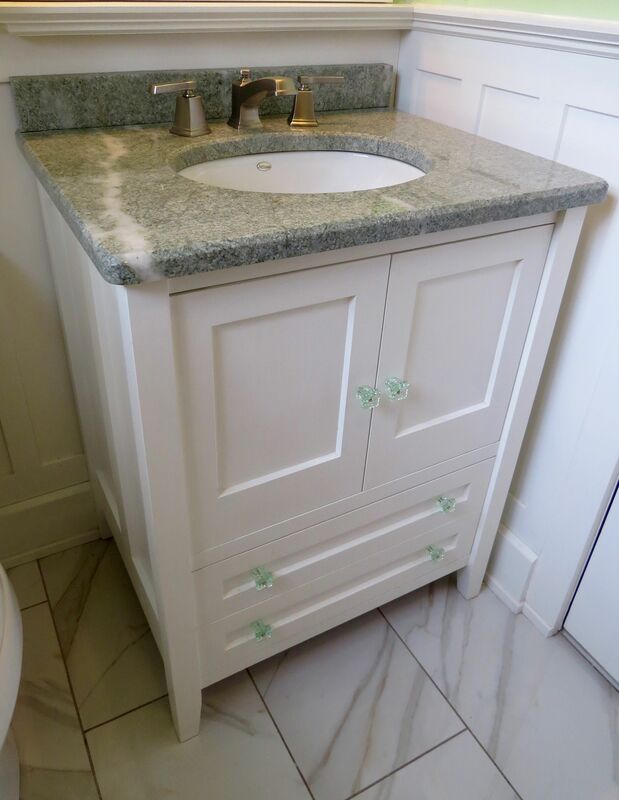 This vanity was made for a client that had limited space but needed maximum storage. 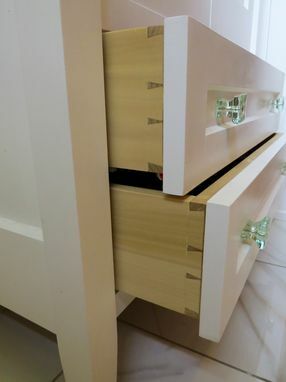 Features include 36 inch height soft close doors and drawers and granite top. 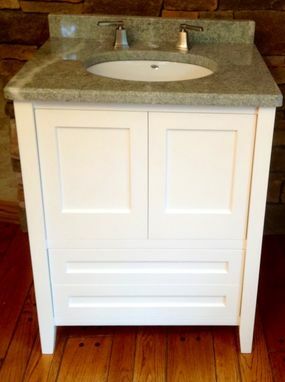 I can customize a vanity to your specific dimensions and style.